It’s no secret that I like to eat. I love trying new restaurants and I can’t really diet because I just enjoy food too much. I think the fact that I enjoy eating is a relief to my mother, who spent the first 17 years of my life practically begging me to eat something. Back then I just wasn’t hungry. Now, I’m famished. 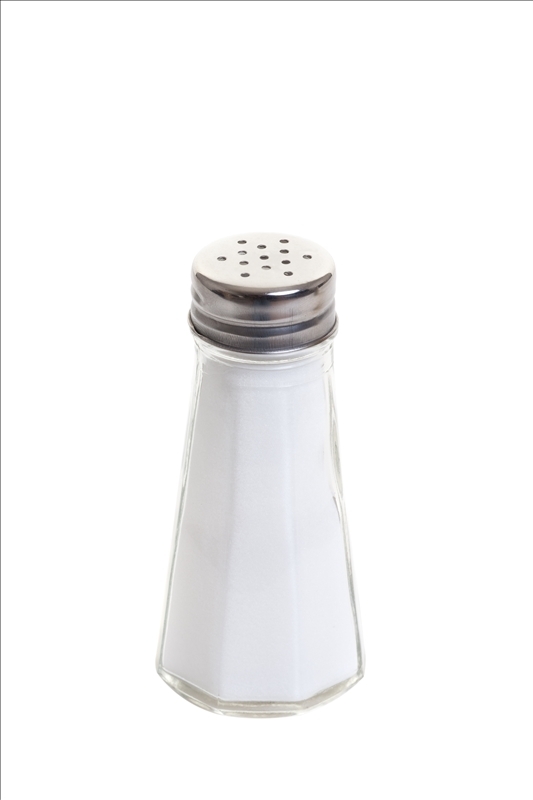 Something that really bothers me at restaurants is when there’s no salt on the table. I really don’t understand the thought process. People who cook and people who like to eat know that salt doesn’t just make things salty but, rather, brings out the flavor in food. So when there’s no salt on the table at a restaurant, I assume that either the chef thinks his food is perfectly seasoned or he doesn’t understand what salt is used for. Either way, it’s not a good look. Friday night, my husband and I went for dinner to celebrate Valentine’s Day. We always go the day before so that we can avoid special menus and couples getting engaged. The food at the restaurant we went to was very mediocre, and nothing spruces up mediocre food quite like salt. Alas, there was none on the table. It may seem untrue, but I really don’t like to offend people. I’m very sensitive so I assume that everyone is as sensitive as I am. I’m so sensitive that I even hesitate before asking for salt at a restaurant, and if I don’t finish the food on my plate I either force my husband to eat it, spread the food between our two plates, or try to hide it under something that wasn’t meant to be eaten in the first place, like the skin of a baked potato. It took awhile for our waitress to swing by to check on us. She was one of those very bubbly, struggling actress types*: always smiling, wanting to show off her memorization skills, more enthusiastic than necessary (the shrimp toast has HUGE chunks of shrimp, it’s DIVINE), begging to be discovered. At least that’s the backstory I created. When I asked her for salt she actually looked a bit deflated. And also a bit surprised. The fact that she looked surprised led me to believe that she had never actually tried the restaurant’s food before. Either that or she was on a low salt diet due to high blood pressure and didn’t know the difference between food that was seasoned well and food that was…not. So, she begrudgingly brought over the salt. When our entrees came (my lamb chops were severely underdone and had to be sent back–again, I hesitated to tell the waitress, mostly because I believe that if you send food back it comes back out to you with a little something extra) I reached for the salt and was surprised to find that it wasn’t on the table anymore. Huh. So not only was there one layer of hubris in thinking that we wouldn’t need salt in the first place, but there was another layer in thinking that, although we had needed it for the appetizer, the entree would be fine. Or perhaps the waitress had severe OCD and just couldn’t tolerate the look of the table with something out of the ordinary on it. Suffice it to say, we’re not going back to that restaurant. And I really just don’t understand why every restaurant can’t just provide salt. Maybe I’m trying to get hypertension. Or maybe I just want my food to taste good. I loved this post. I also think that there should be a ‘no tip’ policy if the waitress refuses to write down your order and gets something wrong. Bring a pad and pencil…what does it hurt?? Just read your latest post and found it soulful and brave, you’re one fierce lady and so happy to have you in the blogosphere. Just sayin’. Thanks Ali! I always regret hitting “publish” but if I get reassuring comments like yours I feel better!